Avinash Dixit and Joseph Stiglitz revolutionized the modelling of imperfectly competitive markets and launched "the second monopolistic competition revolution". Experts in the areas of macroeconomics, international trade theory, economic geography, and international growth theory examine the success of the second revolution in this collection of papers. They reveal what appears to be "missing" and look forward to the next step in the modelling of imperfectly competitive markets. 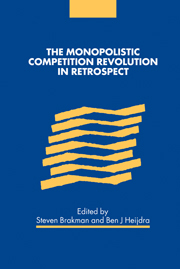 The text includes a comprehensive survey of the two monopolistic competition revolutions, and previously unpublished working papers by Dixit and Stiglitz that led to their famous 1977 paper.